Vintage Indiana Wine Fest is the BIGGEST annual celebration of delicious wines produced only in Indiana! We’re dedicated to celebrating not just the wine, but the spirit of Indiana winemakers; the only winemakers in the world capable of blending Hoosier hospitality into every bottle. This year’s festival features nearly 30 Indiana wineries, plus a ton of live entertainment, food and shopping experiences! Get to know Hoosier winemakers from all over the state as they gather in Indianapolis for one day of fun and festivities. Don’t miss the opportunity to explore, sample and purchase over 300 different Indiana wines in one place! Bring lawn chairs or blankets and make a day of it with your (21+) family, your significant other or a group of fun-loving friends. 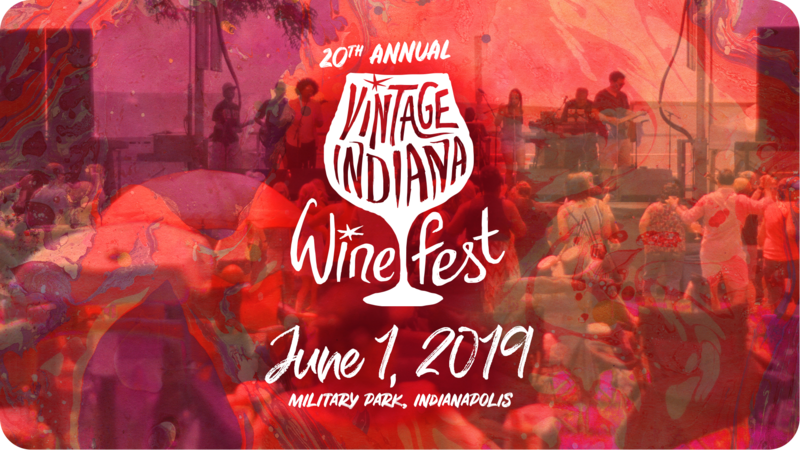 Attendees will have the opportunity to sample “Vintage Indiana” exclusive wines, award-winning wines and wine cocktails, plus the state’s best culinary experts will be on hand with local foods available for purchase! Artisan vendors will be offering handmade crafts and wares. Entertainment will abound with live music and dancing throughout the day, plus a photo booth, character drawing and more!